Just for fun, let me test you on what you may already know. Can you name the winners of each season of American Idol without Googling them? Can you name them in order starting with Season 1 and going all the way through Season 14? Of course you can, but let me take you down memory lane anyway. Arguably the most exciting season on record. The audience was still waiting to see what this show had in store for us, but it didn’t take long. Kelly is the Original American Idol. She has gone on to win numerous awards and garner several number one hits and is still going strong. Now we have high expectations. Rubin stepped onto center stage and filled our hearts and ears with his deep gospel and R&B sound. Dynamic, passionate and powerful, Fantasia brought the house down with her intensity of vocal range. We were ready for awesome, but Carrie under promised and over delivered. Ms. Underwood has gone on to win seven Grammy awards since taking the title of American Idol. Time has dubbed her one of the top 100 most influential people in the world. This was the highest rating season of AI to date and Taylor had some stiff competition with Katharine McPhee. Fun fact: All 18 contestants participating that year got record deals. Just a kid at 17 years of age Jordin became the youngest member of any cast to win the title. After walking with the trophy, Jordin’s very first album went platinum, selling over two million worldwide. My personal favorite. The crush I had on this guy was almost debilitating. 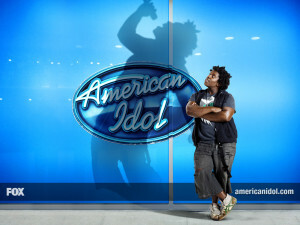 Since winning American Idol David has had some personal losses and that slowed his career. He’s back in the game though with a 2015 album release, Digital Vein. Despite the fact that he didn’t get a lot of air time, Kris caught the attention of the judges and the votes of the viewing public. He was the first married contestant to win. With a record deal guaranteed, he left Idol riding high. Unfortunalety for his fans though, he hasn’t put an album out since 2013. Doesn’t he know his fans miss him! Scotty has taken his following just where he knew they wanted to go – country. His first album went platinum within months of being released and his star is still rising. First, born to get our hearts racing and secondly to win American Idol. His coronation song “Home” released after his win has been the best selling coronation song since the beginning of the reality TV’s debut. Candice had to work extra hard for her place on stage. She was auditioned three times before the judges passed her through. Her first audition was in the ninth season and her second was for the eleventh, neither one gave her a spotlight. Third times the charm. Caleb also auditioned several times before getting a pass. In four years he auditioned three times. From North Carolina, Caleb brought more of a hard rock, heavy metal genera as his theme for the show. Being a contestant on another reality TV show probably got him warmed up, but he didn’t make the final cut on American’s Got Talent. Maybe that was a good thing otherwise he could have been too preoccupied to be on American Idol’s latest season. How many would you have gotten right? Leave me a comment and tell me who was your favorite.